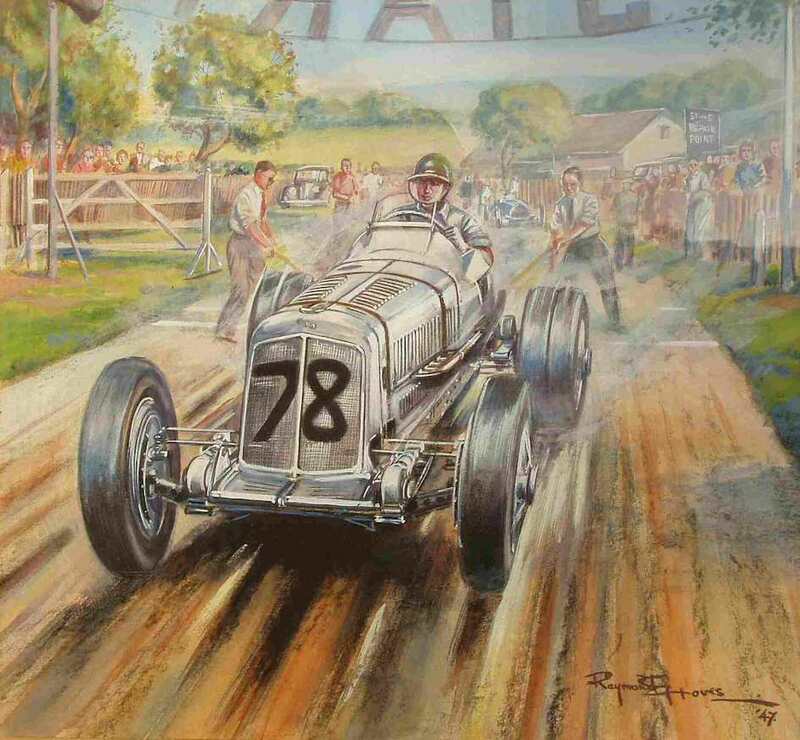 Raymond Groves will be best known for his work with Autosport. However, he probably started employment with The Motor where his father Walter Groves was the first Editor. It is believed that he was tutored by Bryan de Grineau to whom he was articled. 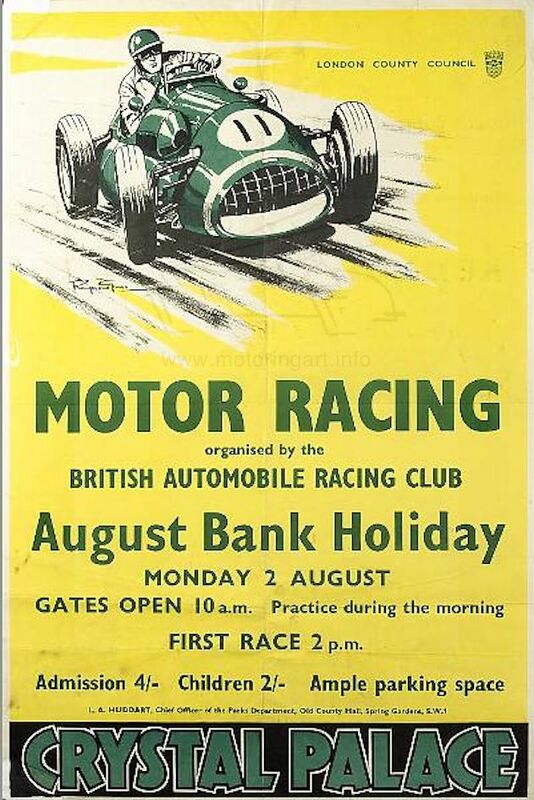 When de Grineau left The Motor it is likely that Raymond Groves moved with him to the Modern Wonder magazine. 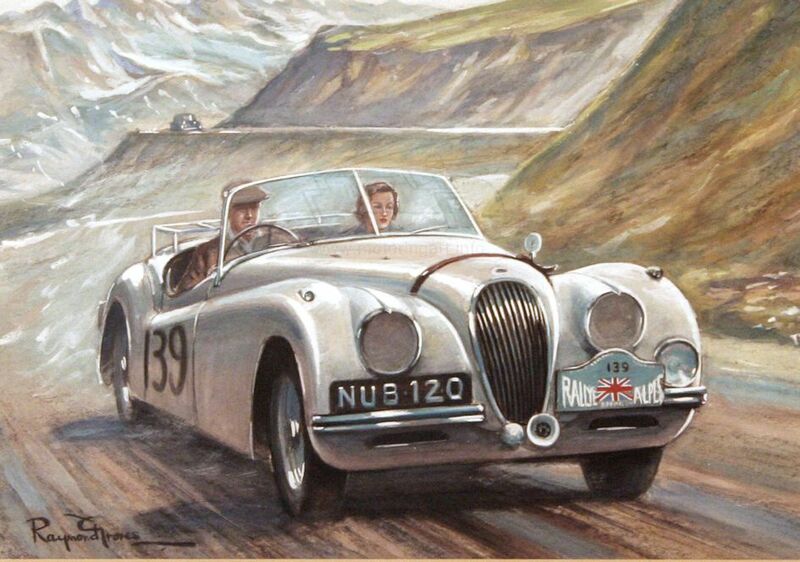 Raymond Groves’ art starts to appear in that magazine in the late 1930’s. He served with the forces during the Second War. 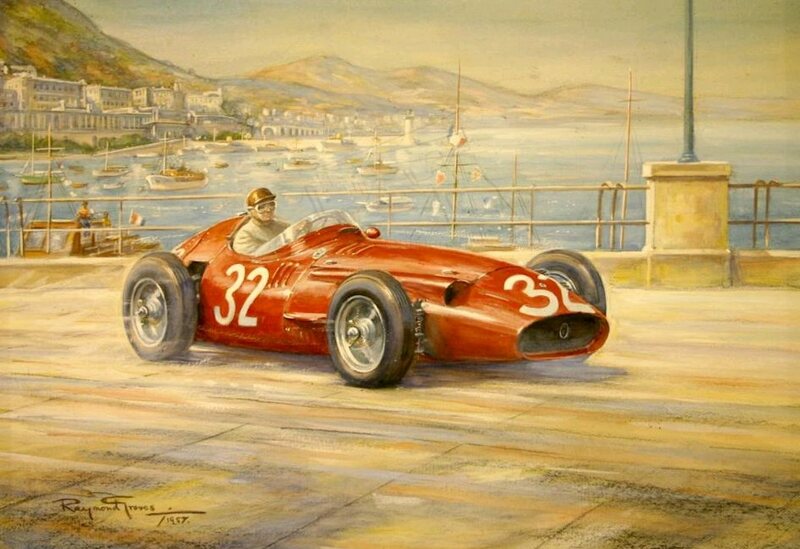 His first drawings for Autosport appear in November 1950 and he worked with the magazine until his sudden death aged 45 years. 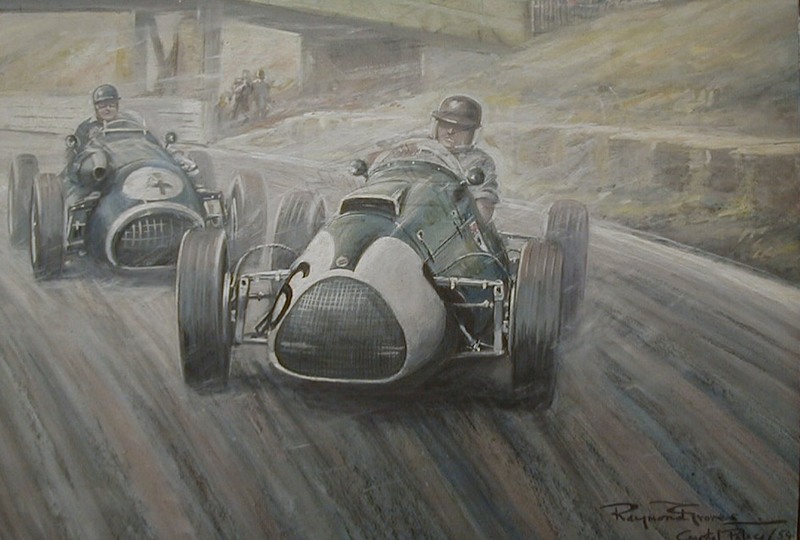 For Autosport he contributed many black and white drawings of motor sport events in addition to cartoon drawings. 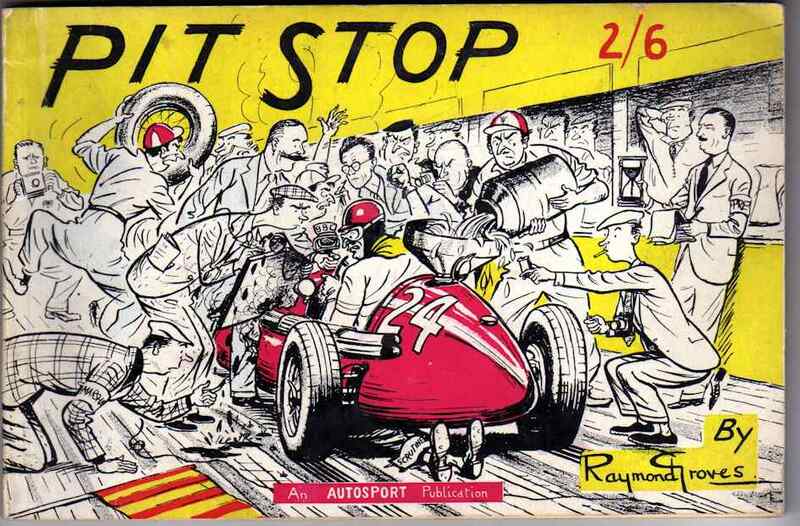 Autosport published three books of Raymond Groves’ cartoons referenced below. 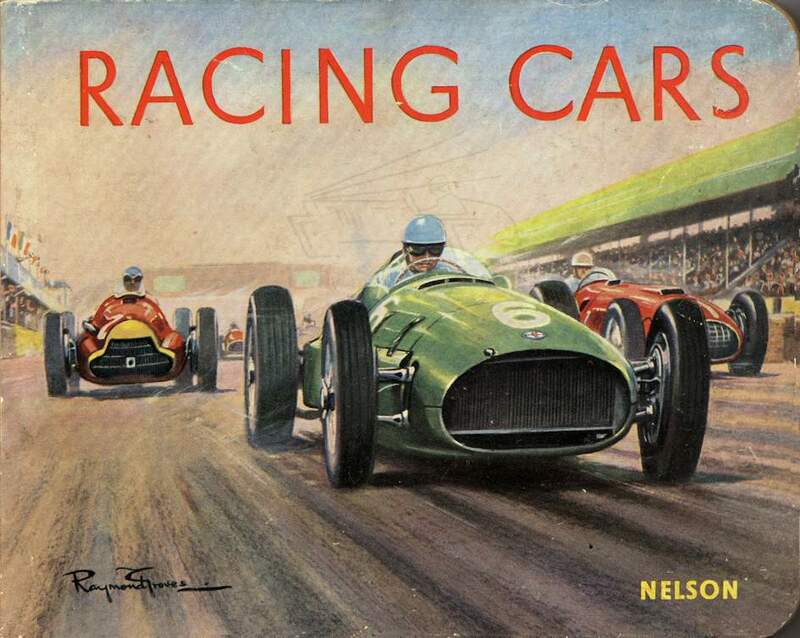 In addition there was a delightful children’s book of his paintings published in the 1952 entitled ‘Racing Cars’ as part of the Nelson ‘Little Hercules’ series. This is a small format book with rounded corners printed on thick card that features fourteen of his paintings. 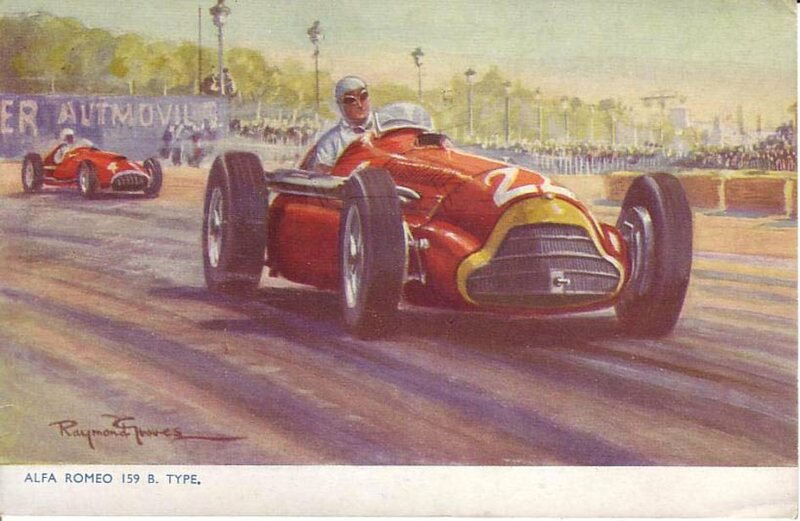 The Photochrom Co Ltd of Tunbridge Wells also produced in the 1950’s a long series of motor racing postcards featuring his paintings. 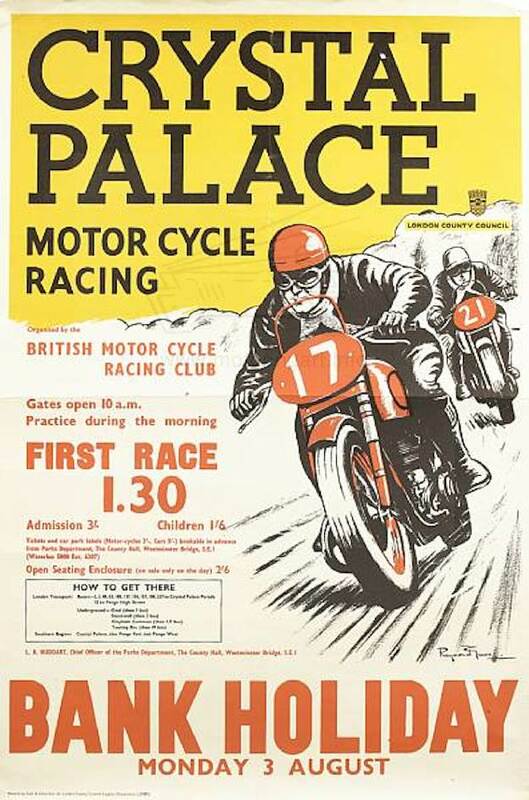 Raymond Groves’s artwork was also used for motor racing posters advertising Crystal Palace and Silverstone events. 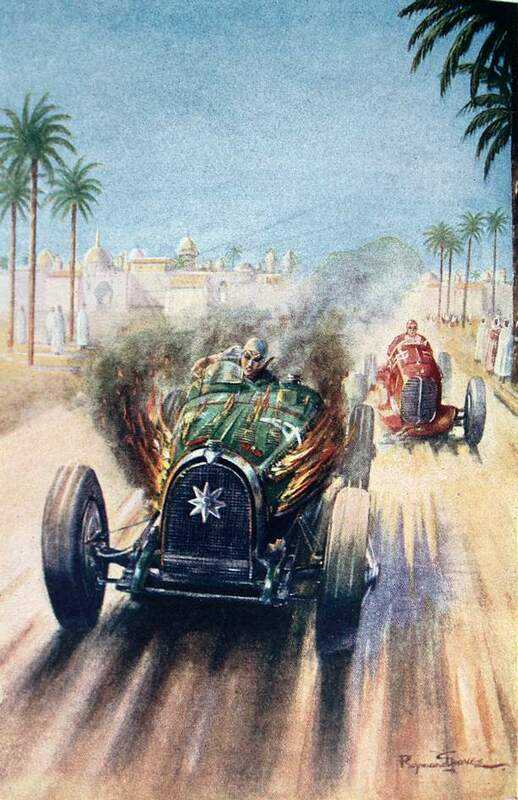 He also illustrated several pre-war books. The artwork is normally pen and ink or occasionally pencil on paper and the paintings are gouache on art board. 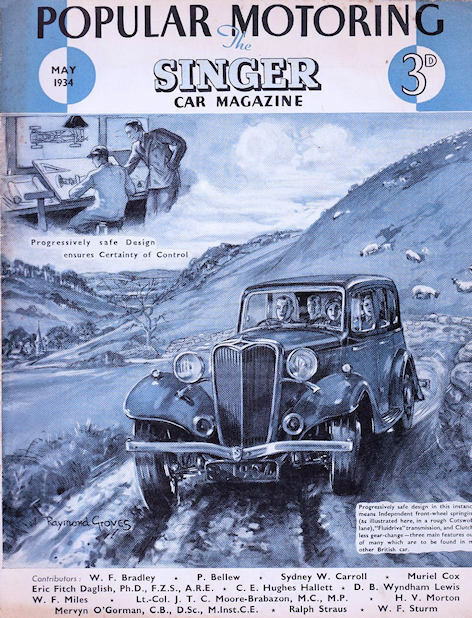 May 1934 illustration for Popular Motoring the Singer Car magazine.